Hello guys, after the big hit on how to get 4GB on airtel and 1GB free data bonus we are here again with another Airtel cheap data trick that gives you 4.6GB data for N200 or 23GB for N1,000. This is amazing, this season nah data (they rush us) lol funny well that's the truth we have the glo plan the gives you 5.2GB for N100 and 10.4GB and also MTN that give you 1.2Gb for N150. Few days we posted how to get free 1GB data on Airtel, which was working for some airtel users and now we are here with another cheap data trick on Airtel. We all know the high rang of data in. 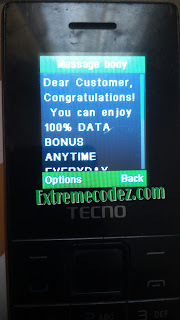 the country and many people can't afford it that's why Extreme Codez is here to help you with cheap data tricks and also free browsing all you have to do is join our Telegram group Here and also download our app from Google playstore Here or better still add our site to your Home Screen by Book Marking it Here. Without wasting much of your time, let's get down to today's topic. Dear customer, Congratulations! You can now enjoy 100% DATA BONUS ANYTIME EVERYDAY FOR THE NEXT 3MONTHS when you buy data bundle of N500 and above. =>> If you receive a congratulations message like the one above, then buy Airtel N200 naira airtime. =>> Load the card using this code; *143*recharge card pin#. =>> Immediately, you will get 4.6GB data. =>> Data is valid for 30 days. =>> Dial *223# to check your data balance. =>> Just keep recharging N200 using the recharge format above. Recharging 5 times will give you 23GB data. Dear customer, Congratulations! 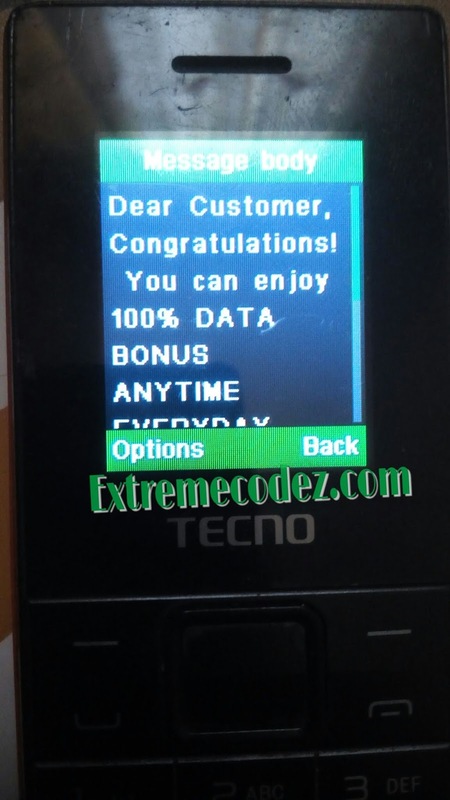 You can now enjoy 100% DATA BONUS ANYTIME EVERYDAY FOR THE NEXT 3MONTHS.